“Working for a living? I gave my life for this country and what’s it done for me? Huh? What’s it done for me? !” – Rodney Baze Jr.
Brief Synopsis – A mill worker tries to find his army veteran brother after he disappears. My Take on it – This movie is actually very good and has great performances from the whole All-star cast. 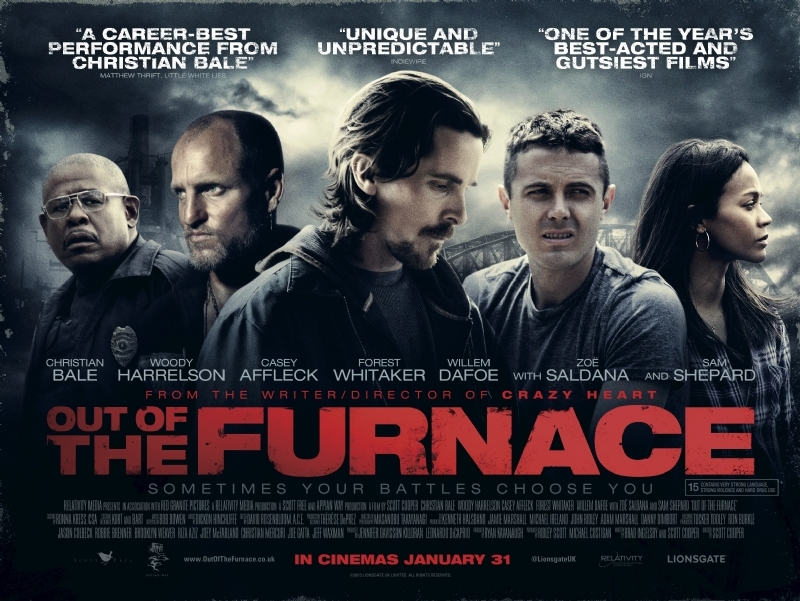 Christian Bale, Woody Harrelson, Casey Affleck, Willem Dafoe, Forrest Whitaker, Zoe Saldana and Sam Shepard are all excellent here. The storyline moves slowly here and takes close to an hour to really pull you in, but if you wait it out, you will be rewarded. This movie deals with the theme of living with the consequences of your actions and how it can and will affect you emotionally. Ultimately, one needs to make that decision on what to do and live with it no matter what will happen afterwards. Some of the scenes are very uneven and can be quite distracting when trying to follow the narrative, but overall it is done very well. Bale once again shows how diverse an actor he can be and definitely loses himself in this role. Isn’t that what I’m here for?